Many are shocked to hear that review sites filter good reviews out. With Yelp being the most notorious for doing so. I’ve only had 2 clients ever get a bad review. And one of those was at Yelp which shows right in Bing search results. So here is a tip for getting some reviews at Yelp. Trick 2: Yelp thinks it is a social media site. So you can find all your friends/customers on Yelp by simply having Yelp search your contacts. Then you can reach out to them on an individual basis. Source Thanks Shannon for the idea. Next is our final lesson, lesson 7. I know I’m crying too. P.P.S. Angies List matters more and more for service professionals. Here is the easiest way to get reviews on Angies List. Today we are going to dive into some minutiae so hang on. Have you ever had a truly amazing experience with a local business you just had to share? Or, was your experience less than stellar and you wanted to send out a “buyer beware” message? I once had a less-than-stellar experience and felt it was my duty to warn others. I wrote a bad review. Later I received a call from the owner demanding I take off my negative review. No apology or asking to make it right, just a demand and a bribe for a free oil change. The business found me because Google My Business Center (Google Maps) no longer allows anonymous reviews. Now, realize that most people still buy from 4 star businesses. The other 8% only use Yelp, JK. “Let the consumer know you’re sorry they had (x) experience and you’d like to talk to them further to figure out how you can smooth things over. At that point, take things offline by messaging that user privately. It’s very important that you post an initial public message to that user; otherwise it will look like you never responded to any prospective customers. Depending on the situation, you might want to get more details from the consumer, offer them a refund, a free product/service for a return visit (and hopefully a better, follow-up review), or at least a discount if they would like to come back and give your business another try. A heartfelt apology and a desire to change whatever happened to make the consumer unhappy will go a long way in appeasing them and helping you avoid future bad reviews. That being said, keep an eye on trends in the reviews you are receiving. If people are constantly mentioning that a certain employee of yours is rude, or a certain service is overpriced, or your selection is lacking, take note. Listening to this type of feedback – and making changes where they’re due — can be the very thing that helps your business stay in business. Bonus Tip: People can delete or change their review on just about every website. If you send them right to their review link like in the case of Google Maps, they can edit it easily. I highly recommend emailing this to them after you have made it right. P.S. This is also the reason you need to funnel every customer to your feedback/review funnel. 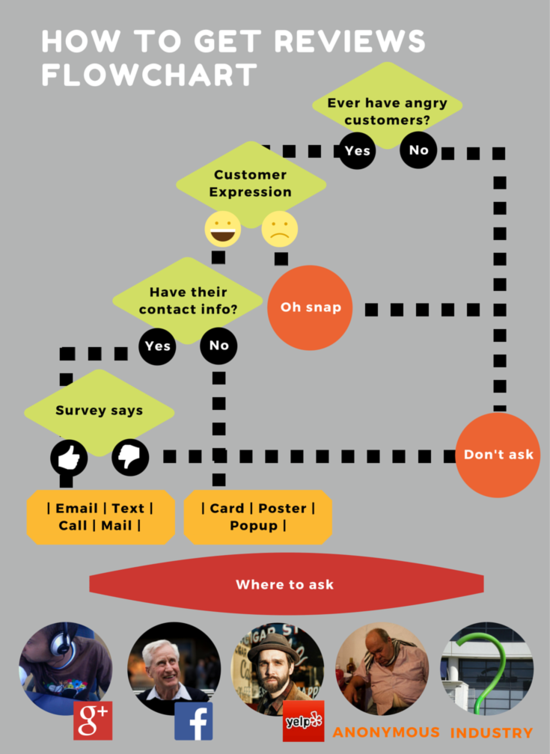 Take unhappy customers offline to be heard, before it escalates. Next we are going to learn about review filtering and 2 tricks for Yelp, lesson 6. Most websites don’t send you a notification when you get a review. If you are like me and don’t want to miss anything, try these two methods. 1) Most don’t know Google & Facebook both have free apps. The apps will now alert you when you get a new review. Update: Microsoft came out with a bonus for all those using their paid office 365 for business. It’s called Microsoft Listings and you can track your reviews (Google, Bing, Facebook, Yelp). They now offer a MailChimp alternative and a easy invoice solution along with their calendar scheduler. 2) Manually check each month. My favorite way is to know about new reviews is just check manually. Using Google Calendar, I set up a monthly reminder. Just click that box “repeats” when making a monthly or bi-monthly event. 3) There are paid services that will alert you, but they are limited to which sites they check and $30+ a month. I’ll trade 5 minutes of my time to save $30, but hey I’m cheap. P.S. If you have added your review/feedback funnel to your website, checking each site for reviews is a breeze. All you need to do is visit yourwebsite.com/reviews and in a few clicks you have all your review sites up. Next it’s is all about responding to reviews so share this right now on your social media channels. We will see you next for review filtering in lesson 5! If you missed Lesson 3, here it is! This course will change your business—and you’re going to want to tell the world about it! Because reviews improve rankings in search engines and convert people on the fence. So, dust off your website login and let’s get started! First, you will add three “hidden” pages to your website. Many have called this a feedback funnel. If you would like a sneak peak at tomorrows lesson, Tyler at Excel Roofing uses his funnel for success. The importance of reviews can’t be overstated. A yearly small-business survey reveals several facts. The freshness of reviews matters. Next up is the secret to getting reviews, lesson 2. P.S. This is going to be fun! When you begin building your website, you have to make sure that you have all the necessary elements to make it a useful and comprehensible tool for clients to use. One way to make sure that you have all of these elements is to look at your website like it is a home that needs all the different building tools to make it stand. This website takes all the different parts of a house and a website and compares them side by side so that you can see how to develop your website or build a house. If you have a website and you are trying to keep customers that you already have while gathering more clients, one way to do that is sending out emails to keep people up to date on your business. Newsletters and ‘Thank You’ emails are a great way to do that. You do not want your business falling to the back of people’s minds so you need to continuously remind them that you are still there and available for hire. Build a list of previous clients and prospects. Use a free email marketing tool to help you get started marketing to clients. If you want something set-up and done-for-you each month, consider Remodelers AutoPilot. There are more ways to bring clients to your website and your business. One thing you can do is add the word ‘local’ to your web content. Also don’t forget to add your address and phone number to your website; create a review page; create a multiple locations page; build a FAQ page; and an About Us page so prospective clients can get to know you. One handy tool that Google offers is Local Rank Tracking. Local Rank Tracking allows you to see where you rank in Google and where your competitors sit. This website gives you eight reasons to use Local Rank Tracking and shows you what your results will look like so you know what to look for. Another thing that you should know about Google is their stance on adding multiple locations and phone numbers to your business. Of course, having multiple locations is great but should you put all those locations on Google? This article states all of the facts, letting you know the risks of doing this and also helps you know how to address this question. As a business owner, you do not just want out of city or out of state clients. You also want to be able to attract and gain local clients. In this podcast with David Mihm (co-creator of GetListed.org and sole founder of Tidings) they discuss how to attract those local customers and you will also hear about snippets and having your own VPN. You would not have started a business if you did not expect it to have success. Whether success is making money or helping others, you are always looking for ways to achieve that goal. And we all have our idols, those successful people that we look up to and aspire to be like. This quick slideshow points out the many habits of some of those successful people. Maybe you share a thing or two with some of them. Getting reviews is really important to a business. Good reviews are great and bad reviews (although we don’t like receiving them) can help us improve our business. Customer success does a few things for your business such as building your reputation, driving customer success, and improving your organization as a whole. We scour the web for the best resources we can find to help your small business by topic. We call it a News Pulse because we believe in the 7 pillars of online marketing that keeps your contractor business alive. We hope this has helped you out so you know what you can do to improve your own website and business. I like to have experts come on the contractor podcast from time to time. This one with Luke Alley from Avalaunch is perfect for helping you know what to look for in an agency. Also his top recommendations for your business marketing online. Contractors and service professionals need Angie's List reviews now more than ever. Angie's List recently opened up their site and you can get your reviews for free. They have made it as easy as printing a "Review Card"... A.K.A. Comment Card. The customer just fills it out and mails it back with the pre-paid label. Customers don't event have to have an Angie's List account. Pro-tip: Since this a PDF it is easy to input all your company information (required) before you print. Print it on a nice card stock and include a sticker to close the letter for mailing. Why contractors don't do this is beyond me. If your customers are older this is a must way to get reviews. If you have a list of past customers asking them all for a review at one time could get you in trouble. Not so with Angie's List "Fetch" program. Submit a list of your past customers and they will call all your customers that have an Angie's List account within 10 days to take reviews over the phone. The only draw back to this method is only the customers with an account will get called. But hey, when has a company been willing to call your customers to help you get a review for free? ​You may be happy with your current flow of reviews but if you want to dominate you need a review plan. If you answer no to any of these questions go ahead and sign up for our free course on the secret to getting contractor reviews. Do you have a plan to filter out bad reviews? 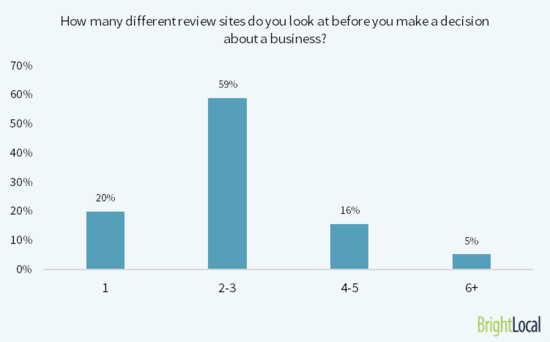 Do you know which sites Google wants you to have reviews on? 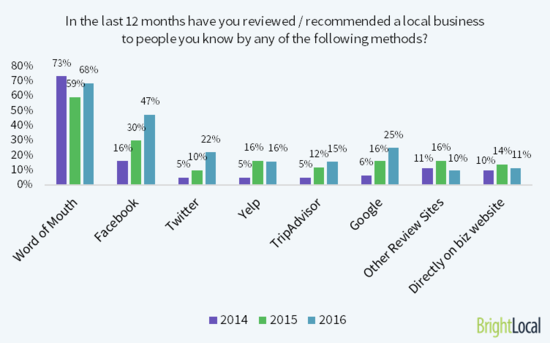 Do you know where your competitors have reviews? Do you have a plan to reply to bad and good reviews? Do you have an automated way to get notified of new reviews? Hopefully you enjoyed the resource. If you did chances are you are going to enjoy our article on how to put your Social Media & Newsletters on Autopilot.